Everhart Weekend Mini’s provides fun-filled art classes inspired by our current exhibits. This Fall, Weekend Minis takes inspiration from the temporary exhibition of the work of Hunt Slonem. 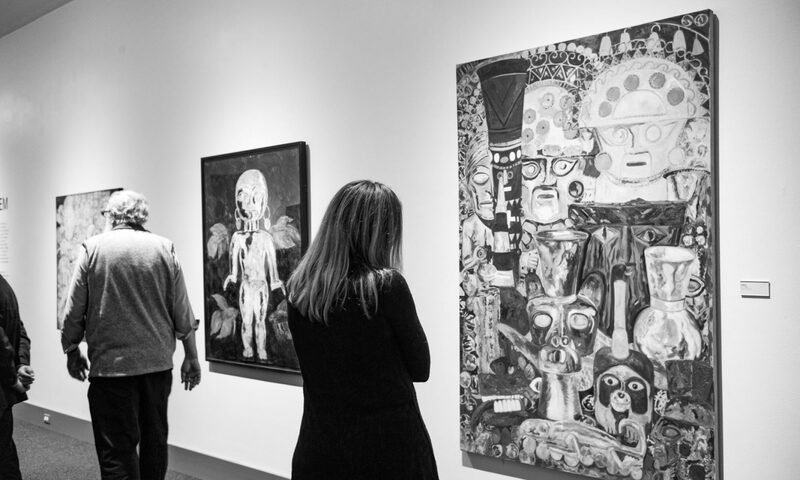 Slonem’s show at the Everhart highlights a series of works seldom seen that were created early in his career and informed by his time spent in Cholula, Mexico while attending the Universidad de las Américas. The vibrant large-scale paintings produced between 1978 – 1986 are a reflection of the time spent exploring ancient Aztec archeological sites. Filled with pre-Columbian ceremonial objects the canvases are rendered in gold paint and Day-Glo colors. Students will use various types of media, such as drawing, painting, printmaking, and mixed-media to create their very own artwork. Our weekend art class for students in grades K-6 will be led by artist Liz Faist. In the winter session, students will view newly opened permanent galleries as inspiration for the works created. Pre-registration and pre-payment are required and space is limited. All classes are first-come, first-served. Member rates are based on Family-Level Membership or higher. 2. 80% of payment will be refunded if a written notification of cancellation is submitted NO LATER THAN 4 weeks before the start of the program. 3. Cancellations received later than our policy date will end in automatic forfeit of full tuition. 4. In the event of an illness or family emergency, a formal physician’s note must be submitted to receive a full refund of tuition. 5. Cancellations for family vacations and/or personal reasons will not be refunded.